Give All publishes toolkits that teach you how to build a brand, create a digital presence, and better position your organization. Learn how to build a brand, create a digital presence, and better position your organization. After over 10 years of business at verynice, we are making all of the workshop methodologies we've used with hundreds of clients available for you to download. With 9 toolkits and 25 worksheets in total, our game-changing curriculum and accompanying video walkthroughs help you learn how to get stuff done on your own. Featuring toolkits for: Mission Statements, Brand Strategy & Identity, and Value Proposition. How people find you is equally as important as what they find. Create a digital presence so that you can make sure your audience can get to you in the first place. Featuring toolkits for: Information Architecture, User Experience & Interface Design, and Marketing Strategy. The only constant is change. Take a more active role in creating change within your organization and responding to changes around your organization. Featuring toolkits for: Competitive Analysis, Collaborative Analysis, and Strategic Planning. Craft a strong and authentic brand strategy. Better define existing collaborations, or imagine new potential ones. Uncover your value while by writing a value proposition statement that clearly communicates your niche. Sometimes you just need another eye on something. Book one of us for a 90 minute session custom-tailored to your top priorities. 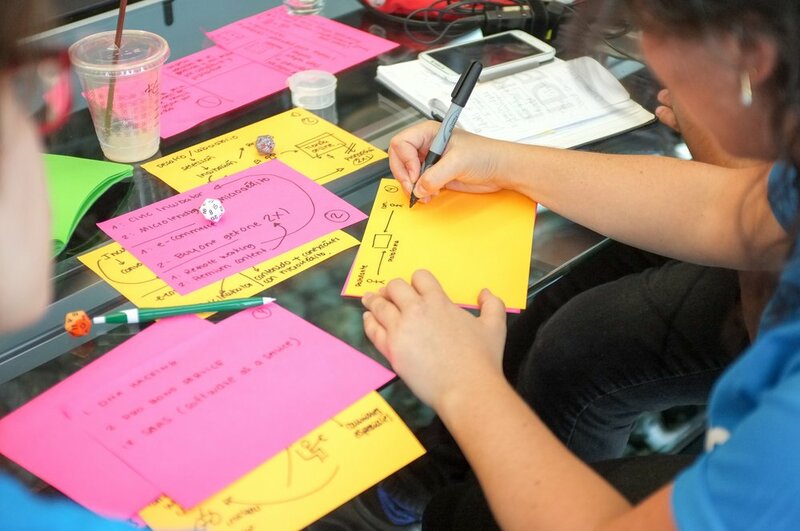 As creative facilitation gurus, we combine playful creativity with applied strategy to facilitate productive consulting sessions that help entrepreneurs and organizations think creatively about the problems in front of them. Working with us puts you in good hands. Our team of award-winning consultants have worked with hundreds of clients across the globe on over 1,500 initiatives. Proceeds help us fund new tools and initiatives! While supplies last, get a printed copy in the mail as a thank you for donating! If you donate at $15 or more at checkout (or $25+ if you're outside of the United States), and we'll send you one as a thanks! alright, i'm ready to download!!! Matthew Manos is an award-winning design strategist, social entrepreneur, and educator. Matthew is the Founder and Managing Director of verynice, a design strategy consultancy that gives half of its work away for free to nonprofit organizations. Launched in 2008, verynice is known across the globe for being one of the first social enterprises in the design industry. verynice’s clientele includes Google, UNICEF, NASA, and the American Heart Association. To date, verynice has provided access to over $15MM USD worth of services and resources to benefit over 10,000 organizations, practitioners, and students across the globe. Called “crazy or genius” by Forbes Magazine, and named one of seven millennials changing the world by The Huffington Post, Matthew’s pioneering work in the field of social enterprise has inspired thousands of practitioners to engage in socially and environmentally responsible business. Matthew speaks at institutions across the globe, and his work and ideas have also been featured in Entrepreneur, GOOD, Maxim, Inc, Fast Company, Wired, and Business Insider.